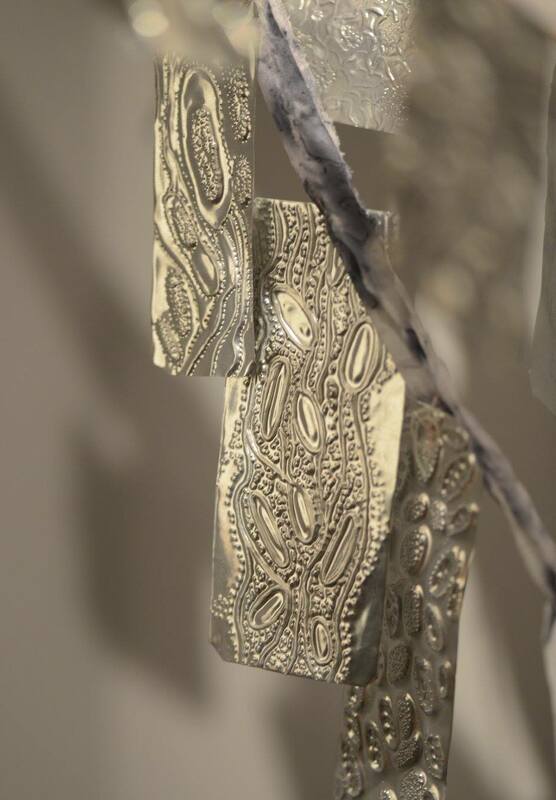 Close up of Ex Voto by Anna Dumitru. 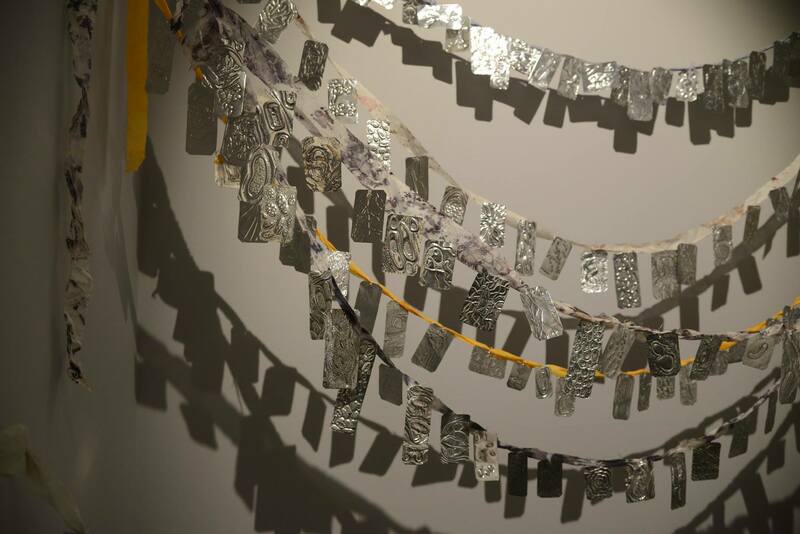 This growing participatory artwork explores the impact of infectious diseases and antibiotics on our lives through the making of ‘votive offerings’ created by the artist, exhibition visitors, patients, scientists, and medics during story sharing discussions. These secular ‘votive offerings’ reference those found in religious settings symbolising a wish or giving thanks for its fulfilment. 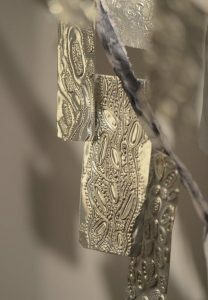 The ‘votives’ are hung on ribbons, stained or dyed with sterilised bacteria, including various species of gut microbiota, Staphyloccus aureus and modified antibiotic-producing Streptomyces, as well as natural antimicrobial substances such as madder root, and non-hazardous chemical dyes used in the lab.